Sometimes the simplest things are still the best. 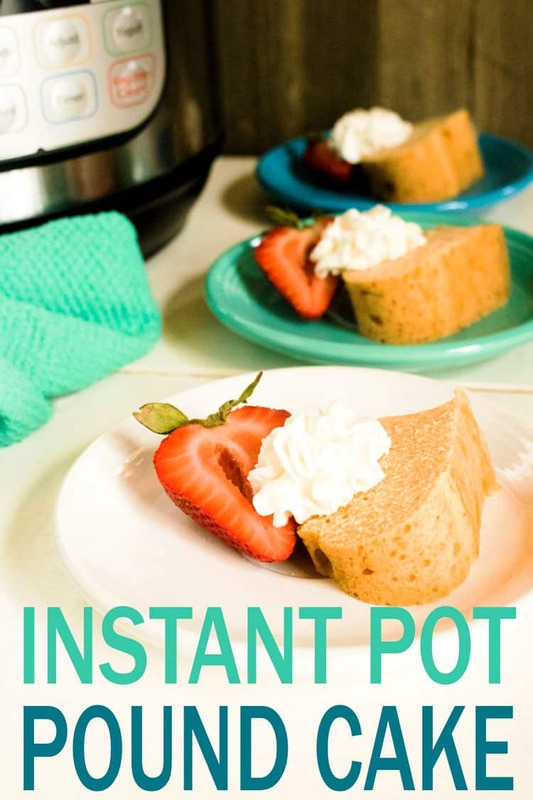 For example, this delicious, moist Instant Pot Pound Cake Recipe. Pound cake always makes me think of traditional summer desserts I enjoyed as a kid. Pound cake is simple and somewhat basic, but it is oh-so–yummy. Eat it plain, or top it with your favorite fruit or sauce. And, this recipe modernizes the classic by cooking it in the Instant Pot so you don’t have to heat up your oven, or your kitchen. Genius! Because it tastes just like the pound cake your mom and grandma used to make. Moist, delicious and buttery rich. It truly is impossible to eat just one slice. 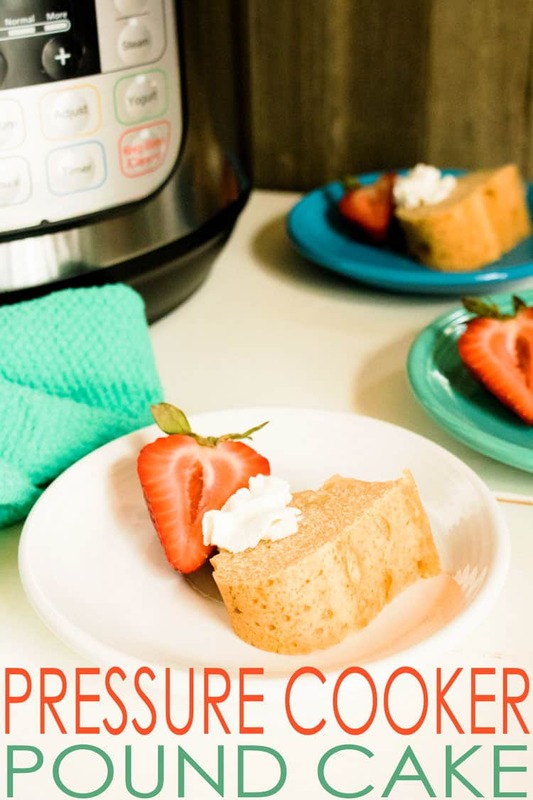 This Instant Pot Pound Cake Recipe is the perfect canvas for so many different toppings. Try season fresh fruit. Or, if you prefer canned fruit with a bit of syrup, you can use that, too. Love chocolate? Top it with some warm chocolate sauce. Whipped topping is also a great choice, either by itself for along with the aforementioned suggestions. So many possibilities! 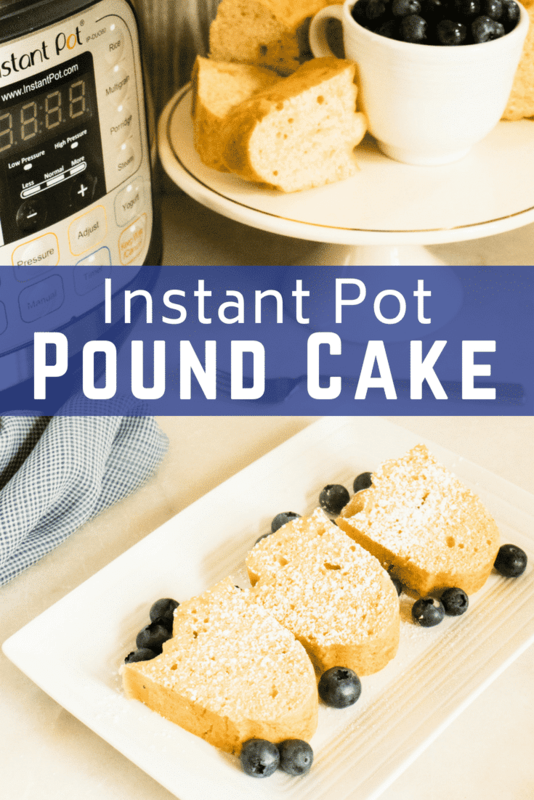 Instant Pot Pound Cake (quite obviously) cooks in an Instant Pot! That means no heating up an oven in the middle of summer, which also tends to heat up the kitchen! The Instant Pot keeps things cool, simple, and fast. 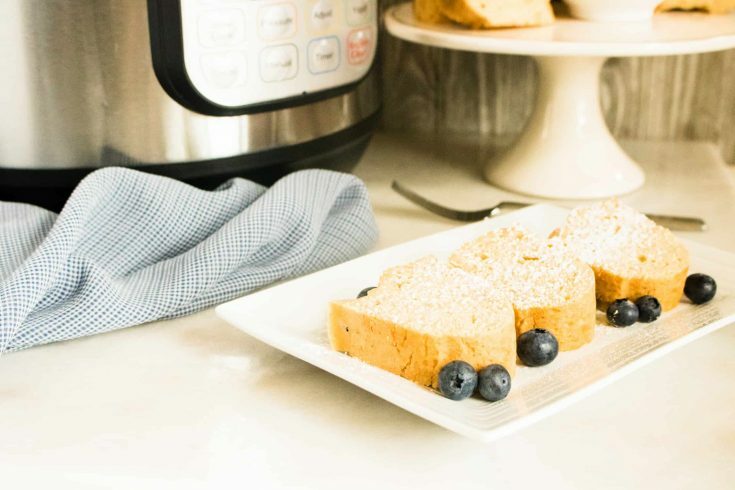 Craving the flavor of pound cake, but have absolutely no time to cook? Then follow this Pound Cake With Berries Recipe to make a store-bought pound cake extra flavorful. For a delightful taste of summer, this delicious Cherry Almond Poke Cake recipe is a perfect choice. Perhaps you or another family member is a die-hard chocolate fan, in which case this Gluten Free Cake – Flourless Chocolate Cake with Chocolate Ganache is absolutely perfect. Don’t let the “flourless” part fool you. This cake is dense, rich and amazing. Step #1: Cream butter and sugar. Add in eggs and vanilla and mix until smooth. Step #2: Add in flour, baking powder and salt and mix until just combined. Fold in the sour cream. Step #3: Spray a 7” tube pan with non-stick cooking spray. You have to use a tube pan for the cooking time in this recipe or the cake will not come out cooked. Step #4: Cover the tube pan with aluminum foil and poke out the center hole so the steam can escape through it. Step #5: Add water to the Instant Pot. Set the tube pan on top of a trivet in the inner pot. Step #6: Close the lid on the Instant Pot and set to sealing. Set on manual high for 60 minutes. Allow for a natural release and then remove from the Instant Pot and cool on a cooling rack. Step #7: Serve with berries, ice cream, whipped topping or any other number of topping possibilities. 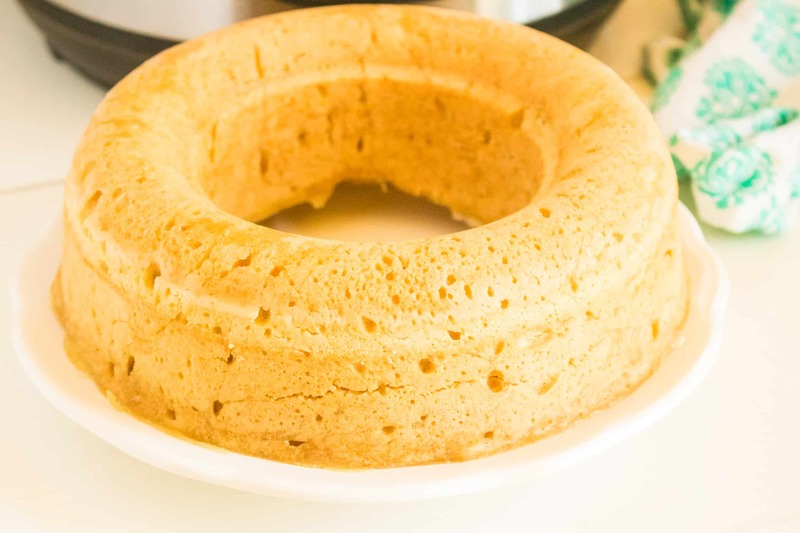 Instant Pot Pound Cake is moist, delicious, and comes out perfect every time! 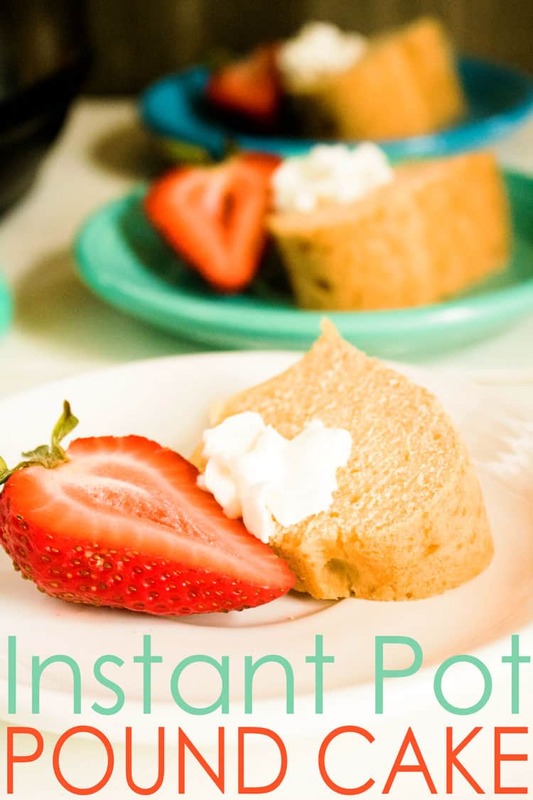 This Instant Pot dessert is a perfect summer dessert recipe that you can bring for a potluck dessert or a backyard barbecue. Cream butter and sugar. Add in eggs and vanilla and mix until smooth. 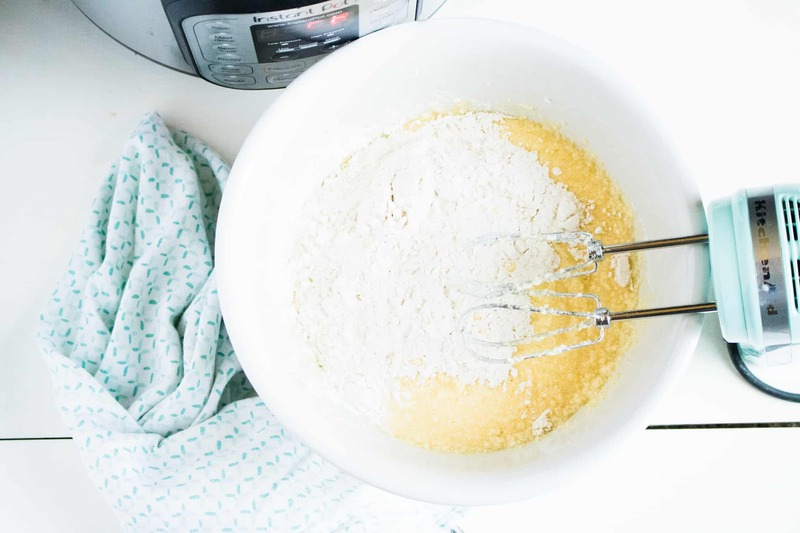 Add in flour, baking powder and salt and mix until just combined. Fold in the sour cream. Spray a 7” tube pan with non-stick cooking spray. You have to use a tube pan for the cooking time in this recipe or the cake will not come out cooked. Cover the tube pan with aluminum foil and poke out the center hole so the steam can escape through it. Add water to the Instant Pot. Set the tube pan on top of a trivet in the inner pot. 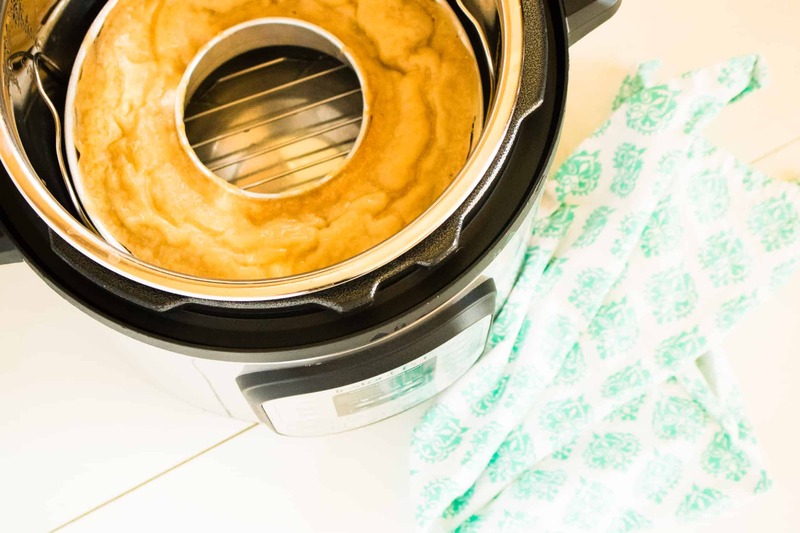 Close the lid on the Instant Pot and set to sealing. Set on manual high for 60 minutes. Allow for a natural release and then remove from the Instant Pot and cool on a cooling rack. Serve with berries, ice cream, whipped topping or any other number of topping possibilities. « Instant Pot Taco Meat Recipe — Spice Up Taco Tuesday!